Most people assume that an old brick structure in the alley on their rear lot is simply a carriage house. Most are indeed, but its always a thrill to research a rare alley structure that was actually built as a studio for a prominent artist. The owner of the vacant lot where 1749 18th Street, NW was to be constructed, Charles W. Handy, applied for and was granted an Application for Permit to Build numbered 161 for its construction on April 13, 1892. He neglected to list an architect responsible for its design, but did list contractor C. V. Trott as the builder at a cost of $9,000. The rare rear building located behind 1749 18th Street was built to house the studio of sculptor Henry J. Ellicott, known especially for his Winfield Scott Handcock equestrian statue at 7th and Pennsylvania Avenue, NW. Ellicott obtained building permit number 187 for a ‘studio’ on July 6, 1894. He listed prominent architect Alfred B. Mullett as responsible for its design, built at a cost of $1,600. 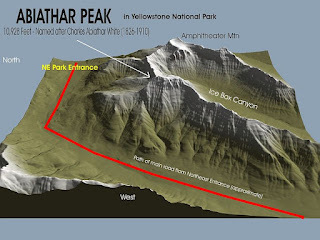 It measures forty-two feet wide by thirty feet deep. It was constructed by the Galloway & Son construction company. Not surprising in a city where building was a primary industry, architects, contractors and artists built their own studios, many of which were located along the quieter alleyways. 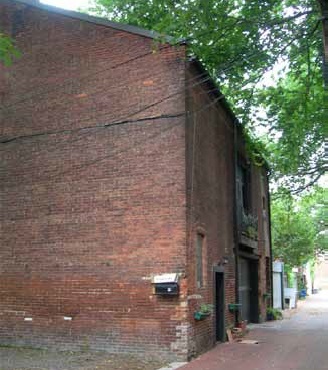 The Historic Alley Buildings Survey identified only five artistic studios, however: the John J. Earley Studio (DC landmark), Mary Bussard Studio, Henry Ellicott Studio, the Harvey Page Studio and the Joseph Wilkinson Workshop. 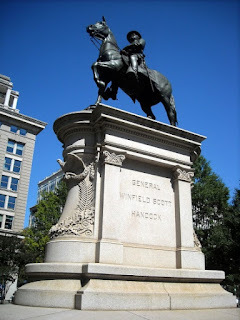 Henry Jackson Ellicott, an American sculptor and architectural sculptor, was best known for his work on American Civil War monuments. Elliott had been born on either June 23, 1847 in White Hall, Maryland. One of seven children born to James P. Ellicott and Fannie Adelaide Ince, he attended Rock Hill College School in Ellicott City, Maryland, and Gonzaga College High School in Washington, D.C. He studied at Georgetown Medical College, and may have served in the Civil War. He studied at Georgetown Medical College, then, at age 19, he completed a larger-than-life plaster statue of Abraham Lincoln – likely an entry in the Lincoln Monument Association's competition for a marble statue – that was exhibited for two years in the United States Capitol rotunda. The competition was won by sculptor Lot Flannery, whose statue is at District of Columbia City Hall. Seen below in August 1868 in the rotunda, the fate of Ellicott's Lincoln statue is unknown. He studied at the National Academy of Design in New York City from 1867 to 1870, under William Henry Powell and Emanuel Leutze; and later studied under Constantino Brumidi. In 1876, he moved to Philadelphia, Pennsylvania, and modeled architectural sculpture on buildings for the 1876 Centennial Exposition. He remained in Philadelphia and exhibited occasionally at the Pennsylvania Academy of the Fine Arts between 1878 and 1891. Ellicott did list himself as an architect in Philadelphia city directories for 1884 and 1890. According to Fielding, he had studied drawing at the National Academy of Design in New York. 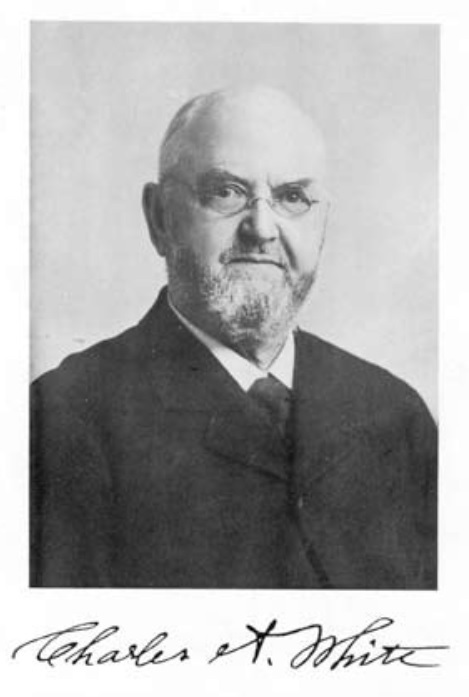 He married Lida Dyre about 1883. She had been born in Maryland in February of 1865. Ellicott was appointed under the Harrison administration Superintendent and Chief Modeler for the U.S. Treasury Department in 1889, responsible for all federal monuments. He moved to Washington, D.C., where he listed his occupation as a sculpture in the Corcoran Building, with a residence at 2026 H Street, NW in 1894. He and his wife were listed as living at 1752 S Street, NW in the 1896 Elite List. It was a speculative house built along with 1740-1750 by the Kennedy & Davis firm, who obtained their building permit on October 17, 1892. By the time the 1900 census was enumerated he and his wife owned and lived at 1868 California Avenue, NW, with a live in servant and a boarder. Ellicott died on February 11, 1901 at age 54. The studio building itself seems to have originally been part of the plot occupied by 1752 S Street, NW, but was later subdivided. It is seen on the 1939 Baist Map. Both the house and the studio were occupied by various members of the Berry family, according to the 1916 City Directory, the first time the studio was listed as having a resident, obviously altered to include a kitchen and proper bedroom. The directory listed J. Talburtt Berry, an inspector, and Louise Berry, a teacher at the Weightman School. The house at 1752 S Street had occupants listed as Edna C. Berry, a clerk, M. Heath Berry, a health inspector, and Roger B. Berry, a draftsman at the Barber & Ross real estate development firm. They had all moved into the two structures from a prior address of 1919 K Street, NW, where they were listed as roomers. A later, 1930 census reveals that Louise, Edna, and M. Heath were siblings, who then all resided at 1820 Lamont Street, NW, owned by Louise. Roger Berry was their father. She had been born in 1882, Edna in 1895, and Heath in 1897, all in Maryland. Roger and Edith Williams sold the studio building to the Walter M. Ballard Company on May 14, 1925 for $3,500, financing the purchase. The Ballard Company was engaged in the office furniture, wood and steel filing cabinets, and office supply business, with a storefront location at 1340 G Street, NW. It is likely that they utilized the former studio as storage space, as no persons were listed at the address in the yearly City Directories during their tenure. The Ballard Company defaulted on their loan, however, and the studio building reverted to its former owners, the Williams’s. They eventually sold it to Catherine Wygood, on January 13, 1947. She in turn sold it on February 23, 1954 to Jocelyn Ball Baxter. She owned the house at 1749 18th Street, and ran it as an apartment house, according to the Haines Directory. There is no evidence, however, that the former studio was used as housing during her tenure of ownership. - Abraham Lincoln, plaster, current whereabouts unknown, ca. 1866. 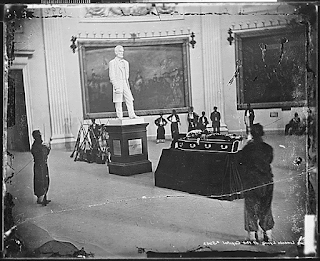 Exhibited in United States Capitol rotunda, 1866-68. - Goddess of Commerce, Goddess of Protection, Goddess of Mechanism, zinc, atop New England Mutual Life Insurance Building, Boston, Massachusetts, 1875, Nathaniel Jeremiah Bradlee, architect (demolished 1946). The figure group was once the symbol of the company, but the statues were melted down in a World War II scrap-metal drive. - Recording Angel, atop Thomas P. Duncan Mausoleum, Union Dale Cemetery, Pittsburgh, Pennsylvania, 1880, Theophilus Parsons Chandler, Jr., architect. - Bas-relief portrait of John Sartain, bronze, Pennsylvania Academy of the Fine Arts, Philadelphia, Pennsylvania, ca. 1888. 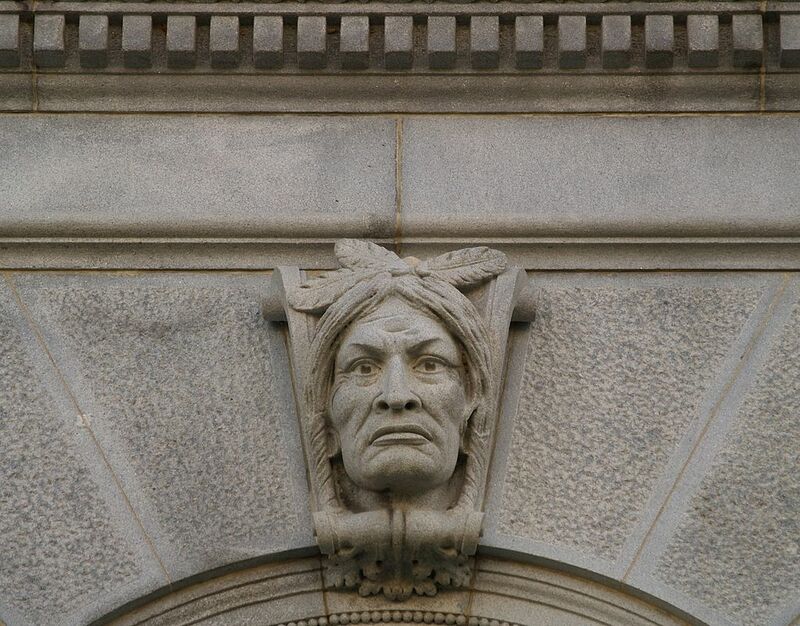 - Architectural sculpture: 33 Keystones (Ethnological Heads), granite, Library of Congress, Washington, D.C., 1891 (above). Carved by Ellicott and William Boyd. - Bust of George M. Dallas, marble, United States Senate Vice Presidential Bust Collection, United States Capitol, Washington, D.C., 1893. - Francis Elias Spinner, bronze, Myers Park, Herkimer, New York, 1894. - Zebulon Baird Vance Monument, bronze, North Carolina State Capitol, Raleigh, North Carolina, 1899-1900. - Bust of Rear-Admiral George W. Melville, bronze, United States Naval Academy Museum, Annapolis, Maryland. - Goddess of Victory, bronze, atop Soldiers' Monument, Veterans Park, Holyoke, Massachusetts, 1875-76. - Colonel James Cameron, granite with brass sword, Civil War Monument, Cameron Park, Sunbury, Pennsylvania, 1879. - Infantryman, bronze, Civil War Monument, Lawrence, Massachusetts, 1881. The Sailor and Cavalry Officer figures were modeled by William Rudolf O'Donovan. - Cavalryman, bronze, 2nd Pennsylvania Cavalry Monument, Gettysburg Battlefield, Gettysburg, Pennsylvania, 1887-89. - Kneeling Cavalryman, bronze, 1st Pennsylvania Cavalry Monument, Gettysburg Battlefield, Gettysburg, Pennsylvania, 1889-90. - Equestrian statue of General Winfield Scott Hancock, bronze, Washington, D.C., 1889-96 (left). - Equestrian statue of General George B. McClellan, bronze, City Hall, Philadelphia, Pennsylvania, 1891-94. An 1896 New York Times article implies that the 16-year-old Ellicott was present at the July 1863 Battle of Gettysburg. National Cyclopaedia of American Biography (1904). A few months ago, we brought you the story of one of the owners of 330 T Street, NW, in LeDroit Park, the prominent African-American lawyer Fountain Peyton. You can read it here. Today, we'll focus on the original owner, Charles A. White, who had the house built in 1880. White listed builder Fred W. Pilling as responsible for its construction, but neglected to list an architect responsible for its design. The estimated cost of construction was $5,000, about twice that of the typical townhouse being built in Washington, DC at the time. William Pilling was the builder. Dr. Charles Asbiathar White and his family moved into 330 T Street upon its completion, likely in late 1880 or early 1881. He would continue to own and reside at the residence for the next twenty-eight years, until 1908. Their two youngest children, Marian and Leonard, then ages 33 and 27 respectively, were single and living at the house. Marian indicated that she was employed as a school teacher, and Leonard revealed that he worked as a dentist. White owned the house free and clear of a mortgage. The first American ancestor of the subject of this memoir was William White, of Boston, Mass., who settled at what was then called Windmill Point, about 1640. William's grandson, Cornelius White, purchased a tract of land in Taunton, Mass., as a homestead, part of which extended within the adjacent town of Dighton. Here Cornelius moved about 1700, and successive generations bearing the name have owned and occupied the farm ever since. So attached to their home were the members of the family that, according to the notes of Doctor White (which have been largely utilized in preparing this memoir), for five generations no member of the family ever strayed fifty miles from the original homestead. In the local public affairs of their community, however, they are recorded as having taken an active part. The great-grandfather of Dr. White, Cornelius White, was a captain of militia during some of the colonial wars of his time, and on the breaking out of the war of independence was made a member of the "Committee of Inspection, Correspondence, and Safety," organized to promote the patriot cause. His son, Cornelius, junior, though barely twenty years old, enlisted in the Revolutionary forces immediately after the battle of Lexington. After the success of the struggle both returned to their Dighton farm. Abiathar White, son of Cornelius White, junior, married Nancy, daughter of Daniel Corey, of Dighton. Their second son, born at Dighton January 26, 1826, was named Charles Abiathar and is the subject of this memoir. In 1838, the family removed to settle at the site of Burlington, in the Iowa Territory. There, subject to the hard complications of pioneer life and with small and irregular opportunities for education, the boy grew to manhood. Doubtless the bias toward the study of nature was inborn, but the life in a new country full of birds and animals differing from those to which he had been accustomed in earlier years in Massachusetts must have been full of interest to the youth entering on his teens. The richness of the rocks of the region in well-preserved and attractive fossils may well have been a stimulus toward the career on which he finally entered. On attaining his majority in 1847, he revisited the east and the following year was married to a schoolmate of his childhood, Charlotte R. Pilkington, daughter of James Pilkington, of Dighton. This union proved ideal, and nearly fifty-four years of happy married life was granted them before the death of the beloved wife and mother, July 16, 1902. His eastern travel and experiences, meeting with the scientific men of the clay, greatly stimulated h is inherent love of nature. He returned with his young wife to Burlington in 1849, and then began a systematic study of the natural history of the region in which he lived. In those clays, when a purely scientific career was almost unknown in America and reserved for those whose financial situation rendered them more or less independent, the in evitable resource of the average student was found in the study and practice of medicine. He began his studies a few years after his return to Iowa, entering, as was then the practice, the office of S.S. Ransom, M. D., a leading practitioner, as a medical student. Having been known to his preceptor since boyhood, he received cordial aid and encouragement in his studies. These were followed by one full course of lectures in the Medical School of Michigan University and a period of study in the Rush Medical College of Chicago, which is now the medical department of the University of Chicago. After he received the degree of doctor of medicine. 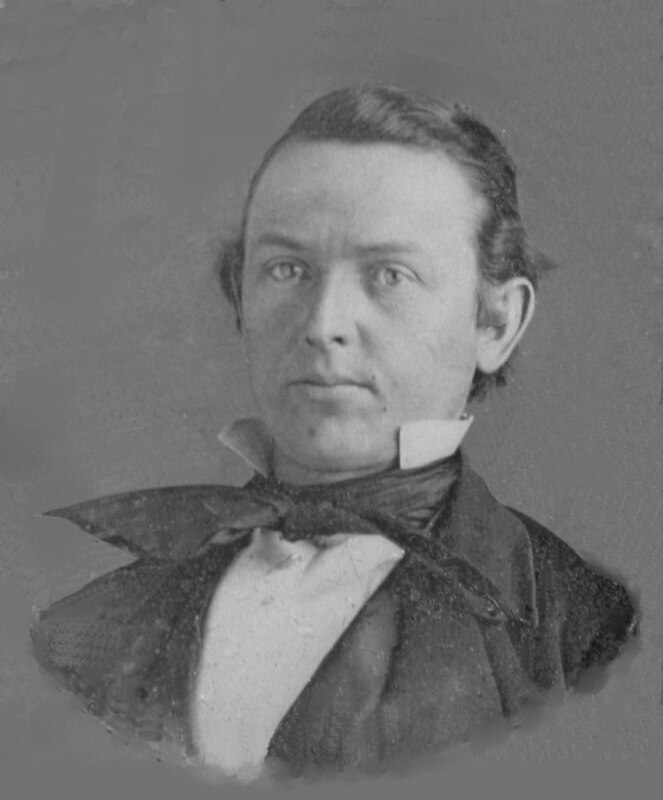 His studies in geology and on the fossils of Iowa became known to Prof. James Hall, of Albany, state geologist of New York, who induced him to accept an invitation as his assistant, which Dr. White held during 1862 and 1863. As with most of the assistants and pupil s of this masterful and eager paleontologist, friction developed in the course of time, and in 1864 Dr. White returned to Iowa and entered upon the practice of medicine at Iowa City. The desirability of a geological survey of the state had become evident to progressive citizens of Iowa, and in 1866, such a survey was established by the legislature. Dr. White received the appointment of state geologist and entered upon his duties in this capacity in April 1866. The survey continued for four years, issuing two volumes of reports on the economic and structural geology, but came to an end by the failure of the legislature to appropriate funds for its support, in 1870. In 1866 he received the honorary degree of master of arts from Iowa College, and in 1867 was appointed to the professorship of natural history in Iowa State University, giving part of his time to the university du ring the continuance of the state survey, and afterward taking up the whole duty of the professorship. In 1873, he accepted a call to a similar professorship in Bowdoin College and removed with his family to Brunswick, Maine. In addition to his college duties, at the request of Lieut. G. M. Wheeler, U. S. A., in charge of the government surveys west of the moth meridian, he undertook, in 1874, the publication of the paleontology of that survey. The activities of the various governmental surveys of that period, more or less in a rivalry with each other as to the production of scientific results, afforded greater opportunities for research work in those lines than ever before. An opening presenting itself for such work, far more congenial to him than teaching, led Dr. White to resign his professorship and join the U.S. Geological Survey of the Rocky Mountain Region, directed by Major J.W. Powell, in 1875. The following year, he was appointed by Dr. F.V. Hayden, directing the U.S. Geological Survey of the Territories, to complete and edit unfinished paleontological work left at the death of E.B. Meck, in 1876. He remained with the Hayden Survey until it was suspended in 1879. At this time he was appointed one of the salaried curators of the U. S. National Museum, in general charge of the paleontological collection. In 1882 the geological work of the government was reorganized as the United States Geological Survey, under Clarence King as director, and Dr. White was engaged as geologist by the survey, continuing in its service until his resignation in 1892. During 1882, he was detailed as chief of a commission on artesian wells in the Great Plains, organized by the U.S. Department of Agriculture. After his return to his regular duties, he was requested by the director of the National Museum of Brazil to prepare a report on collections of Mesozoic fossils, which had been made by members of the Brazilian Geological Survey. The report was published in the Archives of the Museum at Rio, in both Portuguese and English, in 1887. Du ring all the years of Dr. White's service with the various government surveys his office work was done in the National Museum, where he was actively connected with the ca re and preservation of the collection of invertebrate fossils to which his field work so largely contributed. He came to the institution at a critical period in the history of its paleontological collections. Professor F. B. Meek, who had long had charge of them, had recently died and new material was rapidly coming in from the various surveys and .exploring expeditions in the western territories. Dr. White immediately took np the work of properly caring for the collections, at first unofficially and afterward as curator. His intimate acquaintance with Professor Meek and his work, his knowledge of the subject and his systematic, painstaking habits enabled him to render invaluable service at that time. Scattered types were recognized, cataloged, and fully labeled; those that had not been illustrated were figured, and the records and collections of the whole department were systemized. After retiring from the active duties of a curatorship, he continued his connection with the National Museum as associate in paleontology. He was one of the founders of the Geological Society of America. The State University of Iowa conferred in 1893 the degree of doctor of laws, honoris causa. He was president of the Biological Society of Washington during the years 1883 and 1884. He joined the American Association for the Advancement of Science in 1868, later becoming a fellow, and was elected vice-president for the section of geology in 1888. In 1889, he was elected a foreign member of the Geological Society of London. After Dr. White's retirement from active service, he employed his time partly in botanical studies and to some extent in popular and reminiscent contributions to periodicals. He prepared biographical memoirs of deceased friends, three of whom, Meek, Engelmann, and Newberry, were members of the Academy, and in similar ways utilized the time of waiting, which comes to most men who pass three score and ten. Up to a short time before the end, he was remarkably alert, active, and interested in the progress of his favorite branches of science. He died June 29, 1910, in Washington, D. C., and his remains are interred at Rock Creek Cemetery. Of eight children, four sons and two daughters survive him. The character of Dr. White's li f e work can best be under­ stood through an examination of the accompanying bibliography, in which, however, no attempt has been made to include fugitive papers in the daily or weekly press or other similar matter not of scientific importance. The house was apparently still under construction when the 1880 census was taken, and the 1890 census was nearly completely destroyed by a fire in the Commerce Building in 1921. “Biographical Memoir of Charles Abiathar White” by William H. Dall, National Academy of Sciences, Vol. VII, July 1911.